The Hartsdale Board of Fire Commissioners honored Andrew Mentrasti at their monthly meeting on Wednesday evening, December 12, 2018. After serving 19 years on the board as a commissioner, this was Mentrasti's last meeting, having decided not to seek reelection. 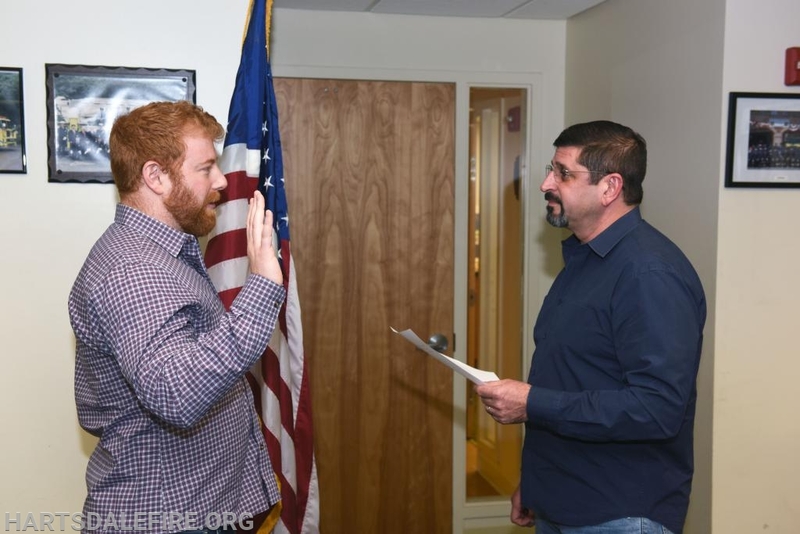 Jason Muldoon, a member of the Hartsdale Neighborhood Association, was elected to fill Mentrasti’s position, having won the previous night’s annual Hartsdale Fire District Election. Muldoon will be sworn into a five-year term as a commissioner at the monthly Commissioner’s meeting on January 8, 2019. In addition to his time on the HFD Board of Commissioners, Mentrasti has also been a member of the Hartsdale Volunteer Fire Company for 43 years. 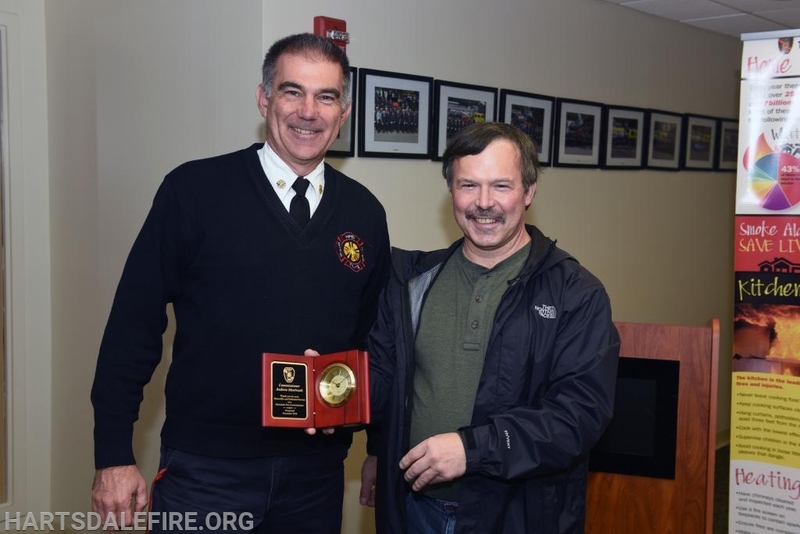 Hartsdale Fire Chief, Ed Rush, left, praised Commissioner Mentrasti’s commitment to the Hartsdale Fire District over the years and presented him with a small gift as a token of appreciation.